Fish should smell like the tide. Once they smell like fish, you are too late! Make sure your fish has a straight from the ocean smell when you purchase them. They have to be moist and fresh. This makes all the difference to the final texture and flavour. 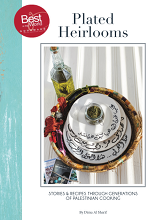 If you are looking for renewal, for inspiration and for variety in your kitchen, head towards the sea. There is a whole world happening in the ocean. A whole world of varieties, flavours and textures. The sea creatures are delicate, naturally moist and packed with flavour. Think of it this way, you know how we sometimes brine meats in preparation for cooking? The ocean is a large container of brine, out of which comes the most tender and moist food ever. When cooked properly, fish and seafood are succulent, moist, and noticeably tender, almost dainty. What better way to start a dish, than with an ingredient of such characteristics? Nothing beats fresh seafood, and nothing tastes like it! There is a tremendous difference in flavour between fresh seafood and those frozen varieties, or the ones that have gone a little old. With fresh seafood there is no odours, no unpleasant flavours, only the scent of the sea and the buttery smoothness of the flesh. Various Seafood have particular flavours not found in other foods, making them unique and identifiable. When eaten raw some fish and seafood are buttery with an almost melt-in-your- mouth experience, like salmon, Ahi Tuna or Scallops. Others have a distinguished flaky texture like eel. 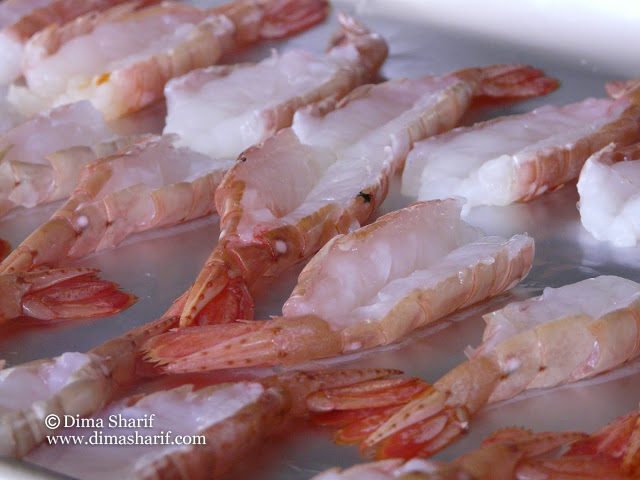 Some are crunchy like prawns and others are tender and fleshy like Monkfish, Dover Sole, White Dori and Tuna. Whatever the texture you are after, you will surely find it in one of the ocean’s offerings. This allows you to unleash your creativity when it comes to conceptualising a dish and choosing ingredients and deciding on texture. Fish is not only delicious but also nutritious. It is full of body-building proteins while being low in calories. White fish contain almost no fat at all. Oily fish on the other hand contain from 0.5% – 20% fat. However, these fats are the sorts of healthy fatty acids that are essential for our bodies and assist in preventing coronary heart disease. Fish also contains almost no carbohydrates and is an excellent source of vitamins. Oily fish are full of vitamins like A, D, thiamine and riboflavin. With all of these health benefits, it is obvious why we should make more use of this super food. We must incorporate it more often in our diets. To do that it is essential to learn how to buy, handle, store and cook this food type. Just like with eggs or chicken…etc once you are done cleaning fish, you need to wash the work surfaces with warm water, soap and detergent. This way, your kitchen will not smell and you will ensure that work surfaces are clean and no cross contamination will take place when preparing other foods. This is very important as food must always be handled safely or it can be hazardous. But that is applicable to all foods and especially meats, not just fish and seafood. Unpleasant smells occur when residue of foods start getting old and bacteria is forming, which means that the smelly area has not been cleaned properly! Cleaning up well after you’re done, will take care of that, and will keep your family safe from foodborne diseases. Has a distinctive white flesh. Examples: cod, sole, White Dori and sea bass. These are very good types for baking, grilling and frying. Most of these are also good for stewing. Has oil distributed through its flesh, giving it a grey or red tinge. 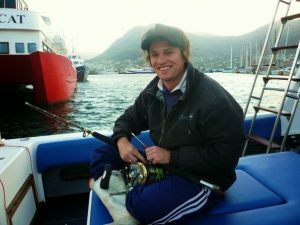 eg salmon, trout, mackerel and sardines. 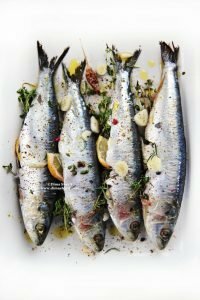 Most oily fish types are great for searing, smoking, and preserving. These are also good for pan frying, grilling and baking. Usually have limbs and a shell, like crabs, crayfish and lobsters. These are good grilled, baked, boiled, steamed and are often used in stews. Prawns for example can also be fried. Having a shell only, like oysters, clams and mussels. Mollusks are fabulous in stews and soups. They are usually either steamed, shortly boiled and can at times be baked shortly like in the Oyster Rockefeller. Have a rounded body and eyes on either side. This category is large and includes a wide range of fish from freshwater salmon to sharks. Methods of cooking fish in this category vary according to the fish itself. Have both their eyes on top. This group includes skate and flounder. There is a wide variety of fish and seafood to choose from in most supermarkets. You will find different shapes, cuts and preparations to pick. For best and freshest fish head to your local fish market and you are definitely going to get the freshest, and most probably going to find a wider variety than you would in a supermarket. When selecting fish to buy, the most important thing is its freshness. It has to be the freshest possible for best results. Whole fish is easier to judge when it comes to freshness and it is often cheaper than prepared cuts. It must look moist, the flesh firm, the eyes should be bright, the scales should sparkle, the gills must be red, and there should definitely be no unpleasant smell. The same principles apply to buying prepared cuts, fillets, or fish steaks. The flesh must be firm, moist and look fresh, without any unpleasant odours. White fish must be really white not off-white or any other colour. Once bought it is always preferable to cook fish and shellfish on the same day. If it must be refrigerated until the next day, then it must be cleaned, washed, pat dried and kept in the refrigerator in an airtight container till the next day. If you want to freeze fresh fish, then clean and wash it, pat dry it, and wrap tightly with nylon wrap then immediately freeze it. 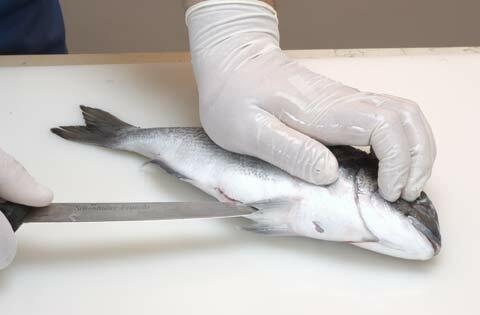 If you do not clean your fish before freezing, you allow for odors to build up when thawing. Shellfish on the other hand, deteriorate rapidly, and must therefore be used on the same day. Despite everyone’s shared anxiety, preparing fish and seafood for cooking is not difficult at all. 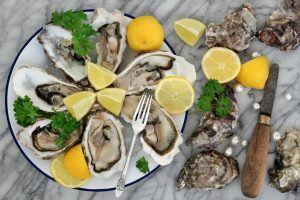 There are precise methods with specific types like oysters or mussels, but nothing too complicated that you won’t be able to perform at home! Follow these step by step instructions and you will find it easy and quick to clean and prepare any fish or seafood. Also keep in mind that most recipes will give you instructions on how to prepare your fish for the specific recipe. You can also ask the fishmonger to scale, clean and fillet your fish so it’s ready for cooking at home! Hold the fish firmly by the tail. Using the blunt side of a knife scrape the scales moving at an angle towards the head removing scales as you scrape. Rinse fish thoroughly under cold running water to remove any remaining scales that are clinging to the skin. With a pair of kitchen scissors, trim the dorsal fin, if you want to remove the whole fin, snip through it with scissors and pull. Hold the fish firmly with one hand. Cut along the backbone from just behind the head towards the tail. Cut across the fish and slide your knife between the ribs and the flesh. Carefully lift the flesh away, making sure not to break it. 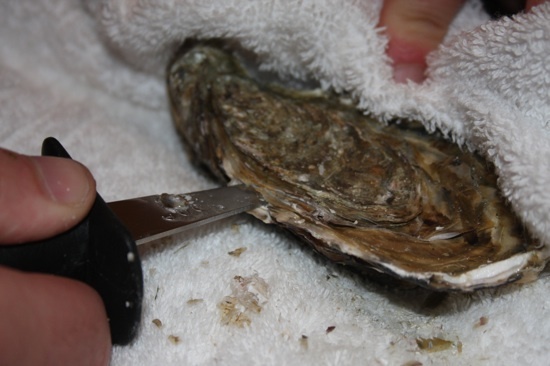 Perform this task with caution as oyster have super sharp edges that can cause deep cuts. Place the oyster on top of a kitchen towel, fold the kitchen towel on top of the oyster leaving the hinge side uncovered. Place your hand on top of the towel, holding the oyster firmly with one hand. Insert the oyster knife with the other hand into the hinge and twist till the shell opens. Slide the blade of the knife under the oyster and cut through the connecting muscle in order to separate the oyster from its shell. If desired you can leave the tail intact, or both the head and the tail and only devein and skin the body. This refers to opening up the sides of the prawn’s flesh while keeping the tail in place. Open up the flesh by gently pulling both sides backwards. Place the flesh opening side down and give it a knock around the middle to keep the sides in place. This technique makes your prawns look better for some presentations. Works very well with tempuras and frying for instance. Using a sharp Knife, cut the lobster down the centre, beginning right behind the head. Cut right through the lobster from head to tail to separate into 2 pieces. Remove the green liver and roe from the lobster. Holding the body of the lobster separate the tails from the body. If you want to shell the tails, then remove the meat by cutting through the centre at the bottom side, then separating the two sides, releasing the meat. Cut the large part of the claw away from the bits which don’t contain meat, then crack claws open to remove the flesh from inside them. Fresh fish can be seasonal and limited to geography. Frozen fish are available at all times and almost everywhere. Before fish is frozen, it is usually prepared and cleaned ready to cook. This makes frozen fish particularly easy to handle. White fish may be frozen for up to 4 months. Oily Fish may be frozen for up to 3 months. Shellfish must be consumed within 2 months of freezing. For best results defrost the fish and shellfish in the fridge overnight. 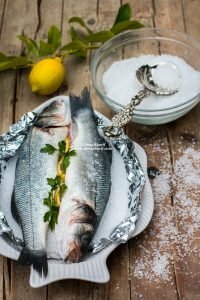 should be a comprehensive read on purchasing, cleaning, and preparing, fish and seafood, finished with the most common methods of cooking this fabulous food type. This series is meant to help you ease your way into creating your own fish and seafood recipes and flavour combinations. After all once we understand things inside and out, and once we practice we reach a point when we are ready to venture out of the comfort zone and start creating. Do try out my DS Fish & Seafood Spice Mix, that I have personally designed to bring out the the flavours of fish and seafood. 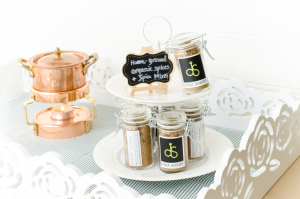 Made using organic spices and aromatics, small batch and chemical/preservative free. i'm always so afraid to prepare whole fish. but we live in the pacific northwest, an hour from the ocean, so we have plenty of fresh seafood available. i should visit the local fish market and give it a try, eh? If you live close to the ocean it is only a petty not to cook fish and seafood! This is a wonderful post. Your tips on preparing shellfish is very useful. Thank you for your tips they are really helpful. Please could you explain why its recommended to soak the mussels in flour and water before use? Any sand and impurities will stick to the flour. That is why it is used. This is the easiest way to get rid of them. The curry was delicious, my three old loved it too .going to my collection for sure thanks! Which recipe did you try? Top Tips: 5 ways I gained more hours a day!